Graviola has a long history in the regime of ancient herbal remedies and treatments. It is also known as 'Soursop' and 'Guanabana'. It is an edible fruit that comes from a small tree (no more than 10 meters tall). One can find it in the rain forests of Africa, South America, and South Asia. Though, there are a lot of benefits of Graviola, but it is famous for cancer treatment. It has always been a topic of debate among cancer related communities. Before we shed light on its effectiveness for cancer treatment, let's try to comprehend why it is so beneficial for a human body. 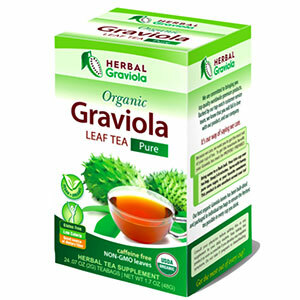 The overall composition of Graviola is so interesting. This edible fruit is immensely rich in vitamin and mineral. Particularly, vitamins like B1, B2, and C pack it with millions of benefits. Researchers have revealed that it contains potassium, calcium, zinc, phosphorus, and magnesium too. It is impossible to find all these factors in one fruit. Even the plant itself of Graviola offers a lot of benefits. For example, the bark and leaves are quite rich in antioxidants. Especially, oxidant like Coenzyme Q10 is a blessing that eradicates free radicals. It also fights inflammation. The same antioxidant also makes sure that your body is performing at optimum levels and you are living a quality life too. It is famous for treating infections with viruses and parasites. But, in recent laboratories' studies, it has been revealed that Graviola extract helps in treating cancer cells that are specifically resistant to chemotherapy drugs. Over the years, more and more focus has been shifted to its cancer related properties. Researchers have discovered that it doesn't just facilitate in treating cancer, but also minimizes the pain and suffering associated with conventional therapy. For that reason, one can call it an anti-cancer super food. The strong anti cancer properties shows that it can be a potential breakthrough in cancer treatment. It is quite right to say that Graviola and Cancer are bitter enemies. It has been proven through various subjects and experiments, time and time again. A cancer research team at the University of Nebraska Medical Center discovered that it inhibits the growth of cancer cell. Therefore, one can count on it for treating pancreatic cancer cell. This research was done at the department of Biochemistry and Molecular Biology and earned lots of attention from the medical experts as well. However, the 2011 issue of Nutrition and Cancer took their revelation a step forward. According to them, Graviola inhibits the growth of breast cancer too. It prevents the growth of cancer cells without harming the healthy cells. Therefore, it is safe to say that it is one of the most effective remedy for those who are struggling with breast cancer issues. All in all, the link between Graviola and Cancer cannot be denied. Professional researchers are attempting to find out how to best harness its cancer fighting properties. In case you are thinking why Graviola is gaining so much attention, while there are lots of other fruits and foods that possess cancer fighting properties, well it is because it fights additional types of cancer. For example, from colon cancer to breast cancer, lung cancer to stomach cancer, Graviola prevents almost all kinds of cancers. All you need is to include it in your daily diet if you want to kill cancer signs and symptoms. This isn't just a theory; it has been proven in the Journal of Natural Products in 1996. According to that research, the compound 1 is selectively cytotoxic to colon adenocarcinoma cells (HT-29). Compound 1 of Graviola is actually one of five key extracts of it. Other than that, this same compound of the Graviola fruit is 10,000 times stronger than the known chemotherapy drug adriamycin. So, if just compound 1 of this fruit is that powerful, you can imagine how effective it can be against cancer cells. For us, just this one product of nature is a million times better than all other artificial cancer treatment products combined. Because of the rising popularity of Graviola, it is now so tough to find it in local food stores. Finding its supplies is difficult. If you are lucky, you can get one, but it is almost impossible. Since, these days, the only option we have is to buy supplements. Before you buy Graviola supplements or any product related to it, don't forget to check the background of the company. Lots of companies, which aren't that professional in the market are promoting Graviola related products. Those products aren't that effective. They are the blended version of several ingredients or products. So, always choose the Graviola product with care. Make sure that you are getting the original, high quality, supplements. The best thing you can do is to get them online. There are thousands of reviews from the customers which can help you to comprehend the quality of the product and reputation of the company. Furthermore, if you have any question, you can ask it online as well on the product page. Reading reviews from the real customers who have tried the product and gleaned the benefits helps. Please remember that many websites use the term 'soursop' too. 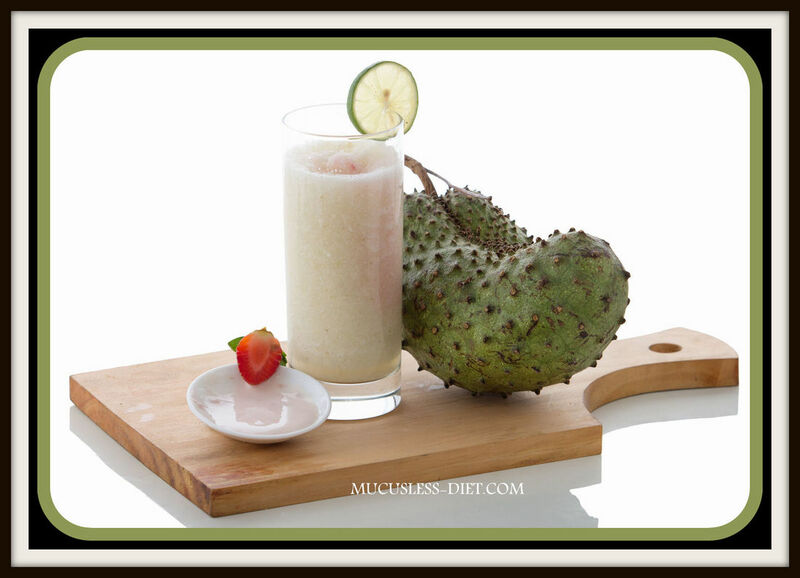 In general, the soursop term is used for the fruit. And, it has many other names as well like paw paw (Brazilian paw paw) or custard apple. The word Graviola often refers the actual tree. They use it for terms like Graviola leaves and Graviola stems. The anti cancer properties of Graviola fruit are undeniable. They have been revealed by highly promising researches from the world renowned institutes and research centers. We hope more positive cases will encourage the pharmaceutical companies and the government officials to ponder more about this nature's gift in order to treat cancer. Luckily, more and more researches are now proving its worth and efficacy as well. It isn't just safe, but also so much economical compared to other treatments that can't be afforded by a common man.